I made the borders for the quick Jinny Beyer palette quilt that the Biffle and I have been making. Unfortunately, I’ve been working on it alone, since the Biffle is in Brooklyn now. I really prefer to quilt with a friend. I like the chatter, the catching up, the sharing. When I quilt alone, sometimes I let worries circle in my head. I replay conversations that I’ve had with people and think of all the things I could have said to them (but didn’t for one reason or another). Sometimes I listen to NPR. Sometimes I listen to Pandora. My current favorite “station” is the “Walking in Memphis” station. I love that song. The piano really gets me – it is so prominent. I rarely quilt in silence. What fun would that be? Sometimes my son, Max, brings his computer into my sewing room and hangs out. He does his thing, I do mine. He usually interrupts me to look at his latest website or something else that he’s coded. I don’t mind. Sometimes my husband hangs out in the sewing room with me, too. If I had more space, I’d put a sofa or a recliner chair in there just for guests. 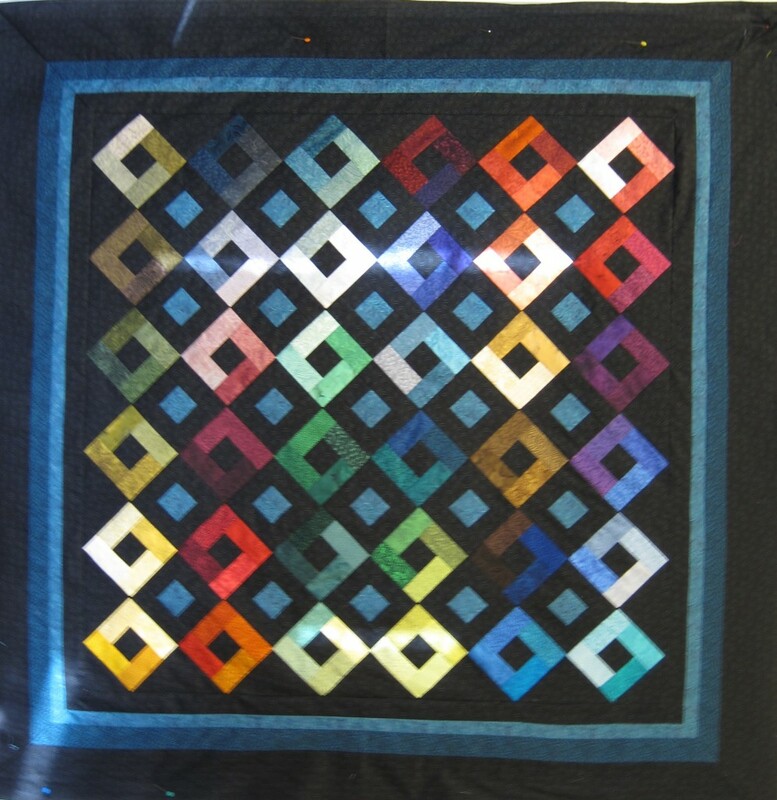 So, here is the quilt with the borders on it. One of the miters is PERFECT. I love it when a multi-border miter comes out perfectly. One is puckered, but I think I can fix that when I quilt it later. The other two are okay. If you notice, you’re looking too hard.